The design of this pendant takes a solid shape, in this case a cube, and iteratively slices edges off to create a sort of rock form. 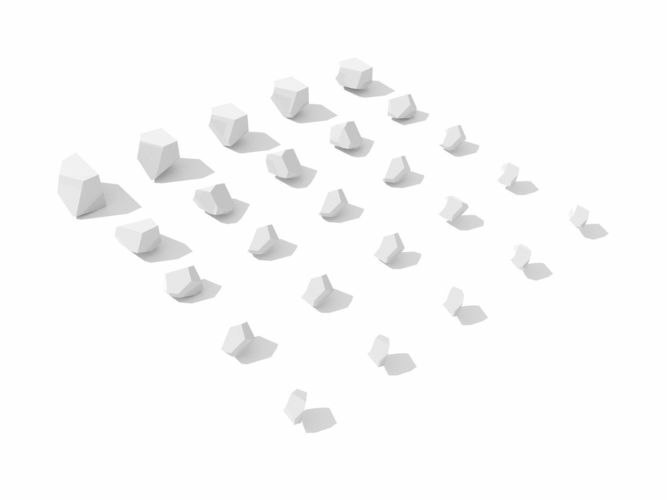 25 iterations were produced, each iterating upon the previous, and presented in a 5x5 grid. File includes 25x different models. Happy to scale the product as required. Individual sizes are approx. Product is designed in Rhino 3D and exported into STL, OBJ, 3DS file formats.